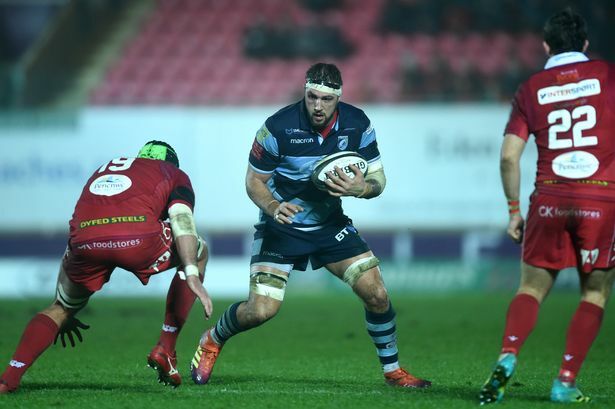 After last week's Wales Grand Slam win, domestic resumes on Friday night as Cardiff Blues welcome Scarlets to the Arms Park in a key Guinness Pro14 clash. A decent start to the season was brought to an abrupt halt after winning just one game in all competitions across November and December, leaving them out of this season's Heineken Cup and struggling to keep pace in the Pro14. It's set to be about as competitive as regional rugby derbies get on Friday night, with not only bragging rights to play for, but a chance for both sides to get into the driving seat for play-off places in their respective conferences. If we can hit the ground running, something we haven't always done this season, we can be out of sight before the West Wales visitors bring their big names off the bench. Four games are left to define the season. Come on Cardiff! John Lacey (IRE) - The Irishman's last visit to the Arms Park before retiring from refereeing. Was in charge of our loss to Glasgow in the Pro14 back in November. Six yellow cards and two red cards in eleven games this season.